You all know that I am already hosting a giveaway with Dressale but since Christmas is just around the corner so I have come up with another amazing giveaway for you guys. This one is sponsored by Persunmall and they will be giving out a $50 coupon of their store to the winners. It is open Internationally and will end on the 20th of December. A total of 10 winners will be chosen from all the participants they will be announced on their Facebook page on the 21st of December. Here!!! 1- Must follow me on GFC. 3- Like them on Facebook. 4- Like Beauty-Fulll on Facebook. 5- Share This on Facebook. 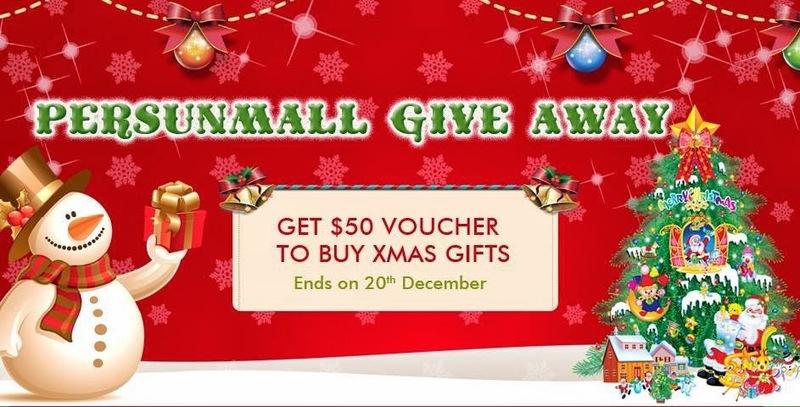 6- Write a post of Persunmall and leave the post link in the comment along with your registered email address. When making a post make sure that you have logged into your account at PersunMall while copying any products link or homepage link. Just to ensure that they can track your visitors. Thank you for this lovely giveaway!I m entering with pleasure! The winners are announced on their Facebook page.